Not so sure about the base...it is too big to me. And the 600$ they ask for it... Why?? F4F Dark souls Sif statue is 530$ and is bigger than that. And it is the same quality. Sif looks at lot better than this imo. 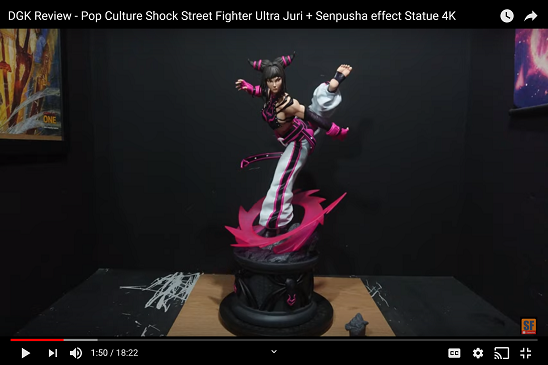 Seems to be little work in this, pose is very strange and the base is a head scratcher. 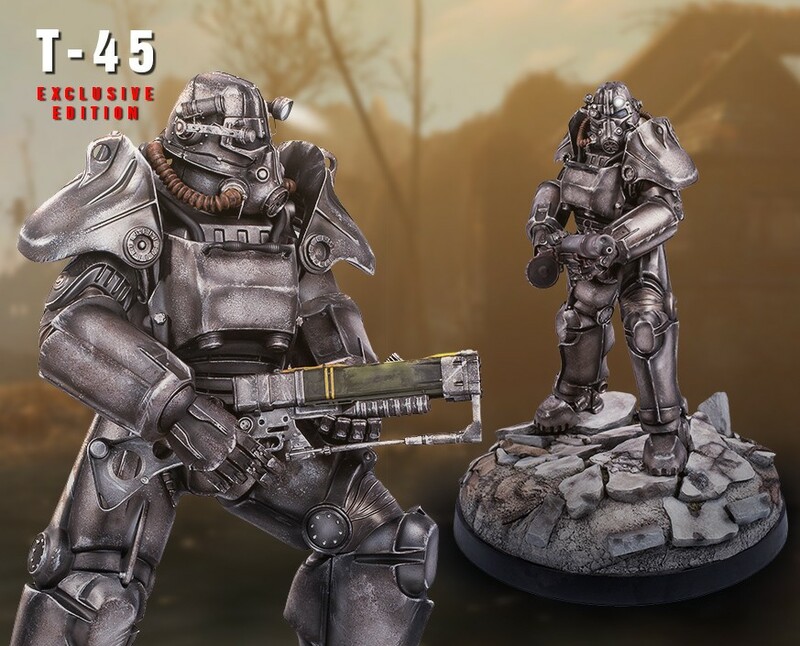 A wasteland base with a bit of dead deathclaw or something would have made sense. 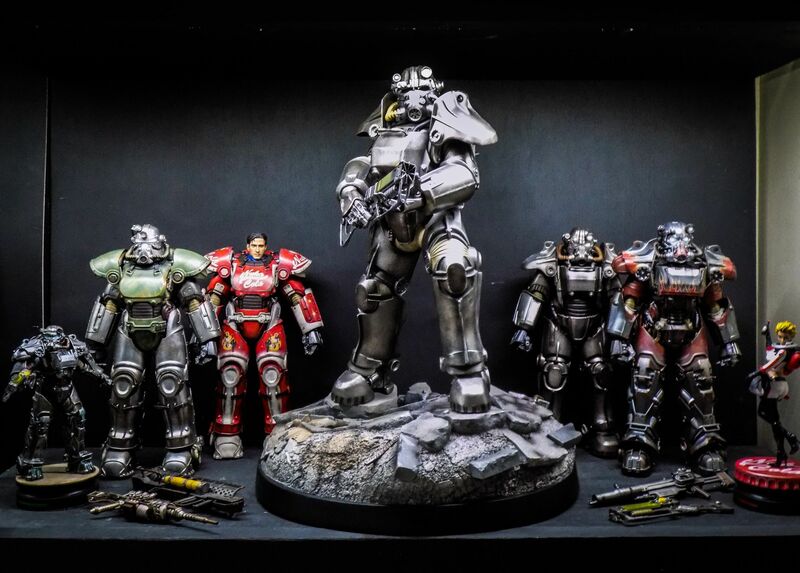 Also $600 and gamingheads wait times aren't great and imo neither has their paint quality, those who do want this i'd highly suggest you wait for it to be released. 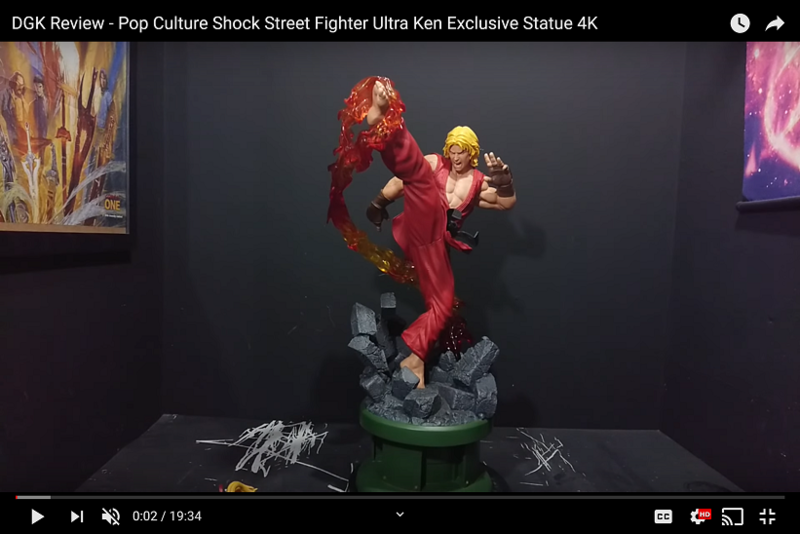 Been wanting something like this but I'm gonna have to pass at over $600. The base is bland and looks odd- kinda like a pillow. 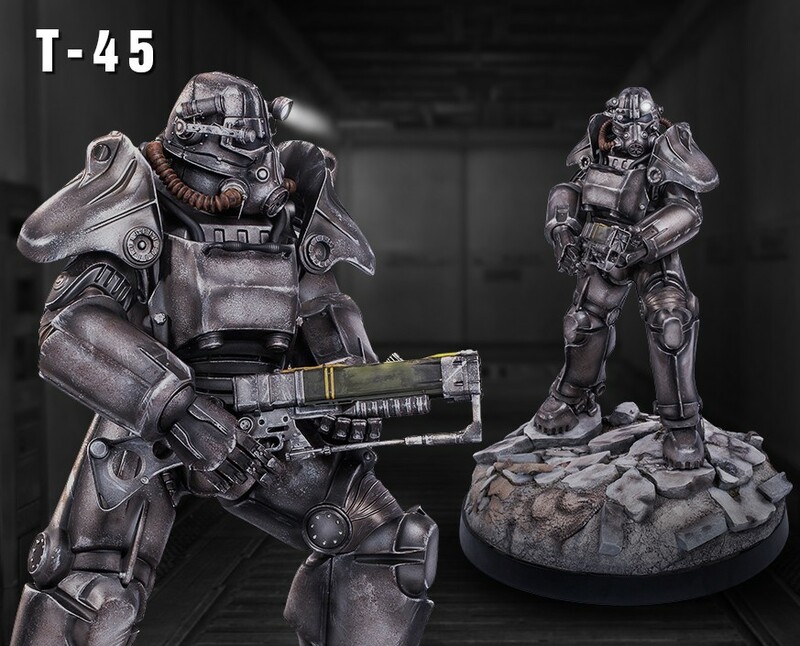 That pose with a laser rifle feels off. Minigun/Flamethrower would work i think... but Im out at the price, Im having to be way choosier and nitpickier at these prices. I still can't believe it. 600$ ? Kratos on throne was 480$ ! It's quite a bit more limited than Sif which has an ex of 1100 pieces. 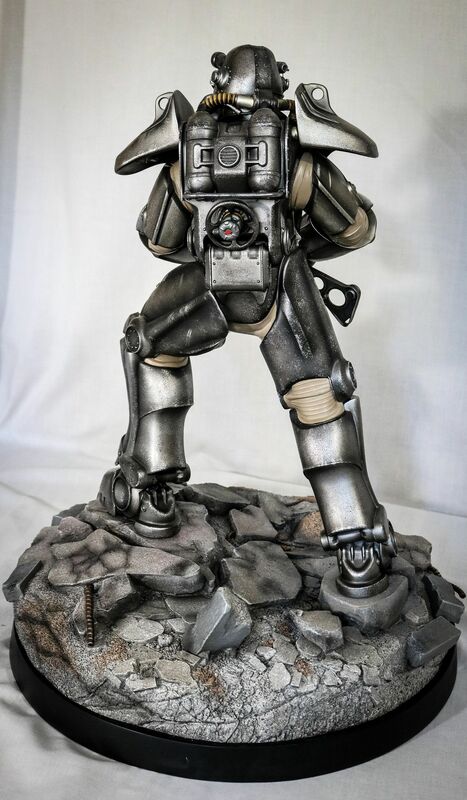 Also apparently this Power armor statue is 17" across. It must be fairly hulk like. Big base :| unnecessarily large and plain base. 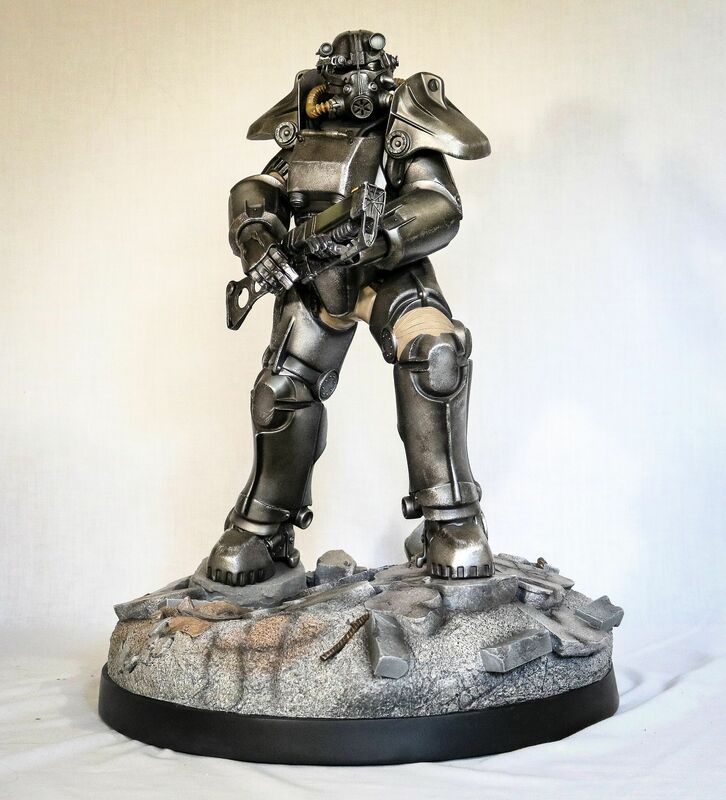 Honestly this statue is really only awesome because it's power armor and it's large. The execution in so many other aspects are not that great. 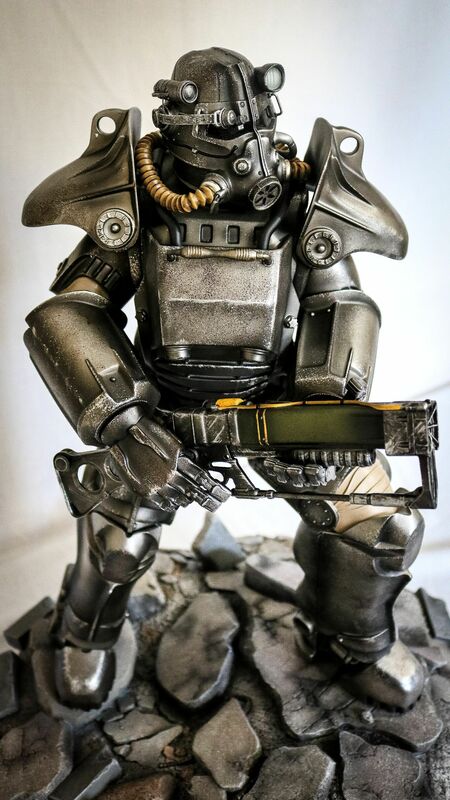 I still prefer it to the threezero ones due to the size and being a statue though, and hope they continue and do a better job in future fallout statues.